GREENbike to open again in spring with seven new stations. | Tribune file photo Salt Lake City's GREENbike bicycle sharing program is shutting down for the winter. Steve Griffin | Tribune file photo GREENbike, Salt Lake City's bike-share program, is shutting down for the winter. Steve Griffin | Tribune file photo GREENbike, Salt Lake City's bike share program, is shutting down for the winter. Salt Lake City&apos;s nonprofit bike-share program, GREENbike, will close for winter on Sunday and reopen in spring with an expanded fleet of two-wheelers. 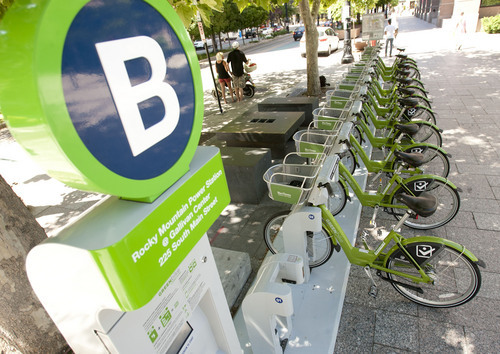 Since its launch in April, 65 GREENbikes at 12 downtown stations were used for some 26,000 trips by 6,100 different riders, according to a statement from GREENbike organizers. The shared bike network, designed to augment existing public transportation, was responsible for reducing auto traffic by an estimated 52,000 miles, organizers said. 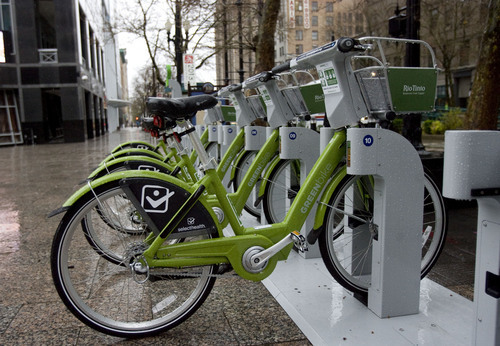 GREENbike will expand again next spring with seven new stations. All 19 stations will be 30 percent larger than they were in 2013 to accommodate more bicycles. Organizers said they will have almost three times as many bikes upon reopening. This year, every GREENbike was used at least 400 times, said Ben Bolte, GREENbike director. 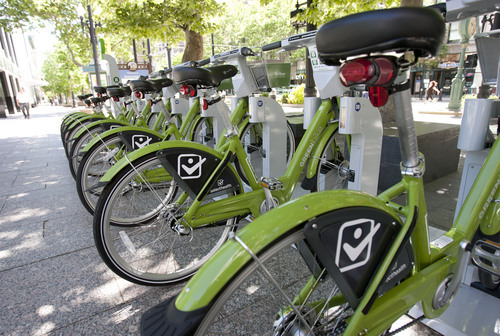 "With only 12 stations, the GREENbike program has the highest per-bike usage of any bike-share system in the country with less than 50 stations," Bolte said. "This is the least expensive public transportation project that yields easily quantifiable results and makes our existing public transit infrastructure easier to use." GREENbikes are not rentals. The program works through memberships that range from $5 for 24-hour access to $75 for 12 months. Bike share allows a member to take any bike from any station for 30 minutes at a time for no additional charge. More info is available online at greenbikeslc.org.